5 lanes in Karachi, 800 years of history. 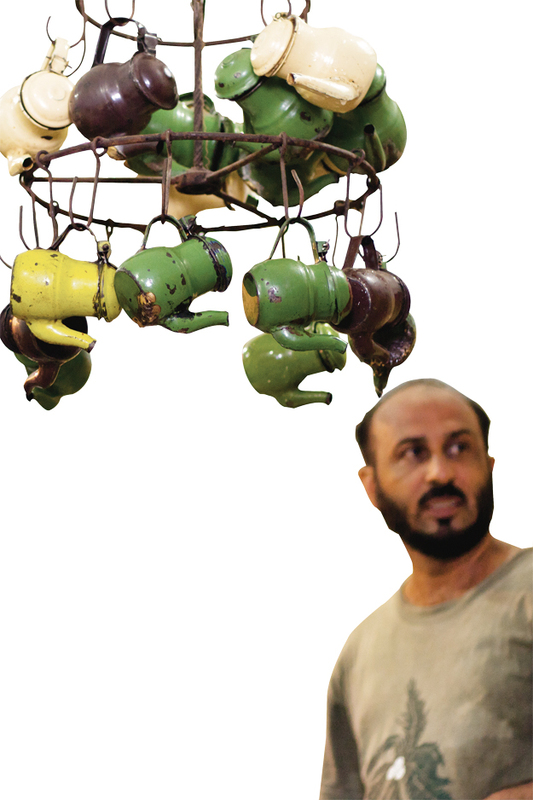 In a cup-sized chai dhaba, off a constantly flowing street near Shoe Market in inner Karachi, a deal is taking place. Agents of event organisers are talking to young men who have barely grown facial hair. These are the sons of the Qawwal bachchay, men who shoulder the task of taking forth a centuries’ old tradition. This year the suffocating Karachi summer has coincided with the Islamic calendar months of Rajab and Sha’ban, which are peak season for the Qawwals. Rates and dates are being decided. Diaries are being feverishly filled and numbers are being exchanged on inexpensive worn-out cell phones. Paans pass from hand to hand in the spirit of sharing. So too are lines of spiritual poetry, effortlessly woven into the negotiations, for after all, this is part of creating amaahol or ambiance. The paan-and-poetry infused sweet-talking is a particular form of marketing. The young Qawwals are vying for the prominent programmes and anxiously keeping an eye on who will be signed up the most. Name-dropping ropes in ancestors long dead who were in some way connected to the man who started it all: Hazrat Ameer Khusro. Also making an appearance in the conversation are celebrities and politicians who are the shaagird or students of the great Ustaads. It is also a source of pride that the artists here can say they have performed at Ajmer Shareef in India. 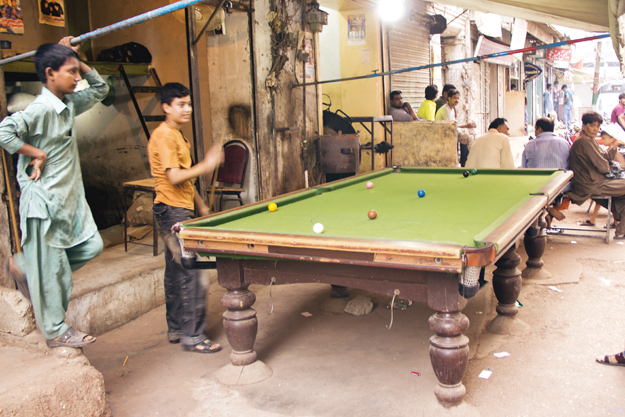 This is Karachi’s Qawwal Gali or lane, which actually refers to a neighbourhood of five streets. They are named after five of the most celebrated Qawwals: Munshi Raziuddin Qawwal, Moeen Niyazi Qawwal, Kallan Khan Qawwal, Jaafar Hussain Nizami Qawwal and Bahauddin Qawwal. Thus, the Qawwal bachchay, as they proudly refer to themselves, fiercely guard their heritage. Indeed, conversation in Qawwal Gali always goes back 800 years. These families have been celebrities for centuries. They may physically live in the present, but live in the grip of a glorious past. Names of their ancestors are medals that they wear every day of their lives. Each family claims to be the gharana and most of them know their family shajra or tree by heart. As can be expected with the passage of such time the number of original families has changed as has the type of music performed. The Qawwali you will hear today is a much diluted version of the original shudh Qawwali. The new synthetic versions merely entertain or provide a quick spiritual fix and lack the original reverence and deliberation that was once a pre-requisite. According to Saifuddin, the modern audiences are mainly responsible for this sea change. “We give what they demand,” he says. “I am not satisfied with where Qawwali is going today; this is not what our ancestors introduced,” he adds. 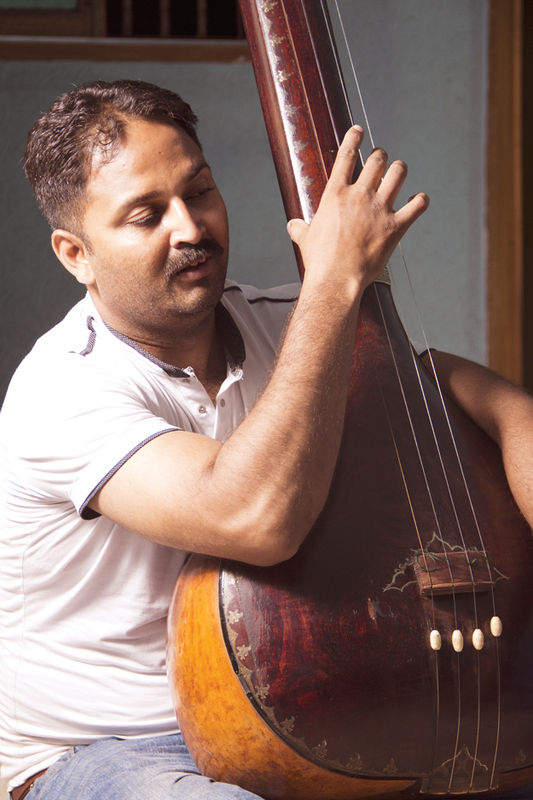 “Innovations are taking it to a point where we are losing the original Sama that was sung. Magar such baat hai, pait kee khaatir karna parta hai. The truth is that we have to do this to earn a living. Even those of us who are trained to sing the authentic Qawwali have begun innovating for commercial reasons.” He gives the example of his family’s Hamza Akram to argue that changes are still being seen as acceptable as long as they keep the art within the framework of original teachings. Saifuddin’s assertion that audiences are to blame is generally shared. But qawwals such as Rauf Saami, the eldest son of the living legend Ustad Naseeruddin Saami, react differently to this reality. “We have to bring up the taste of listeners once again, and sensitise them to better listening,” he says as he believes that true Qawwali is an acquired taste. The responsibility of carrying forward and stemming the tide of degeneration of the art form is acutely felt. It is a collective responsibility, as Rauf Saami’s use of the pronoun ‘we’ indicates. The sense of community runs parallel to the pride in heritage. Qawwal bachchay cannot and do not lead solitary lives or perform individually. They need each other, not just to provide the rhythmic background clapping and chorus, but also for moral support. And even if one member of a troupe is the star during a performance, the limelight will be shared. Qawwal bachchay survive in numbers, and they know it. “Our survival is in community existence. We perform in packs,” says Rauf Saami. The Saami Brothers belong to one of the most renowned and authentic Qawwal bachchagharanas that is recognised for its repertoires, tans and alaaps. Rauf is the grandson of the world renowned Munshi Raziuddin Qawwal after whom a street is named here. 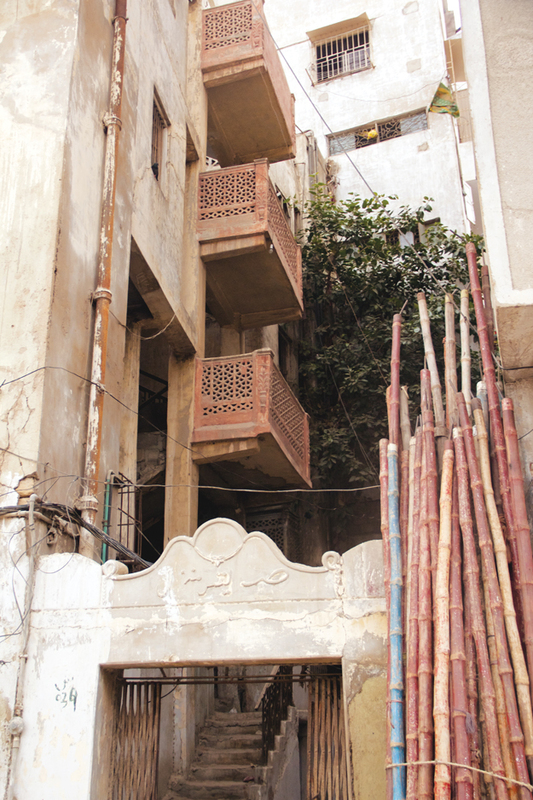 Their ancestral house in Qawwal Gali has witnessed many changes. The architecture of the house is reminiscent of styles found in old Peshawar or inner Lahore. 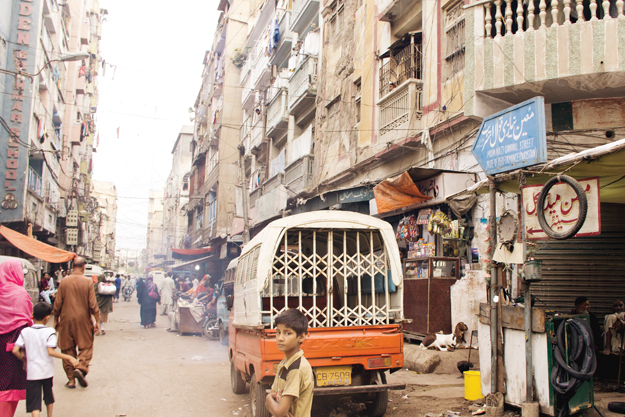 Other homes in the neighbourhood are located in apartment buildings typical of the over-crowded Saddar area in Karachi. The ground floors of each building are generally taken up by shops for paan, chai and groceries. As the Qawwals stand around and talk in the street, the women peek from balconies with shy smiles. Washed clothes hang out to dry on every balcony. This sense of protectiveness of a culture is understandable. As the epicenter of a complex art form, Qawwal Gali has become a hub of eager laymen who have a burning desire to learn the art, and enter the coveted space by apprenticing as shaagirds of the Ustaads. The sons who have learnt the techniques passed down for centuries become the teachers of these students across Karachi. They set off each day on their motorcycles to give “tuitions” after a late afternoon meal, which is breakfast for them, owing to a nocturnal lifestyle. But once in a while, a chosen student with potential will get a chance to visit the main Ustaad, usually the father or an uncle of the juniors, at their home in Qawwal Gali. The hierarchies here are well-defined. The Qawwals are territorial; their turf consists of their students and fan base. They are fiercely competitive and will try and outdo the others on stage as well as in claims of authenticity. “Professional jealousy does exist among us,” concurs Saifuddin. “Like in a market if there are shops of many cloth-sellers, each will try and attract the customer.” The neighbourhood’s curiosity over a new visitor to one family is ample proof of this. Ustad Ghulam Khusro Khan of the Nohar Bani family claims that to classify as a truegharana, one must have a grip of the 12 genres of classical singing. This is the criterion:Dhurpat, Saadhra, Hori, Tirwat, Chatran, Tarana, Tappa, Khayal, Chann, Parband, Sargam,Ba Maani Sargam — and one must know them all. “Those who don’t are just those who pretend to be genuine,” he says. Breadth of knowledge of the art form and its trajectory are also important markers of authenticity. He reels off the names of his ancestors, of festivals they have been invited to and of celebrities who are his students. Tough rivalry with other Qawwals and a feeling of being under-appreciated on television has left Ghulam Khusro bitter. The competition here is cut-throat. Yet, as a community, they stand by each other in times of trial. The men travel extensively to perform worldwide, especially with the upsurge in global interest for Qawwali in the last decade or so. In their absence, the other men of the community are there to see that families are well protected. Published in The Express Tribune, Sunday Magazine, June 29th, 2014. Posted in Culture, Karachi and tagged Hazrat Ameer Khusro, Munshi raziuddin qawwal, Pakistan, qawwal bachchay, Qawwali, Saami brothers, spirituality, Tanrus Khan. Bookmark the permalink.